A few years ago BBC Culture asked its readers to submit what they thought were the most beautiful libraries in the world and Liverpool’s Central Library made the top ten. We think we speak on behalf of all bookworms when we whole-heartedly agree. In an ode to the recent prestigious title, we’ve decided to write a love letter to Central Library and libraries everywhere. Eleven libraries were due to close a couple of years ago but were thankfully saved. Our mirage of a cultural desert did not come to fruition but it shouldn’t take the immediate closure of somewhere for us to appreciate them. So, whilst we try to articulate the sheer beauty of the building in a couple hundred words, we deep down realise that words are not enough. And that is kind of bittersweet as it has to be seen to be appreciated, making your visit all the more significant. The library is located in several adjoining historic buildings on the city’s historic William Brown Street. 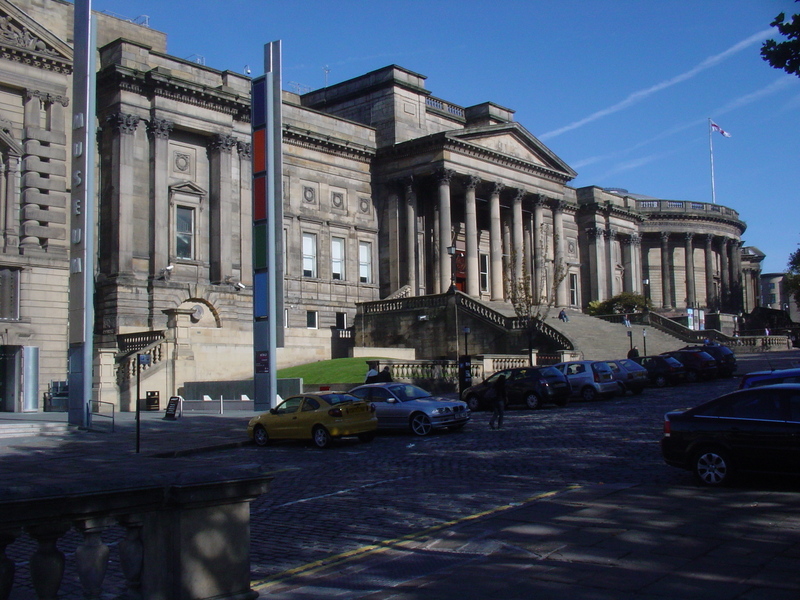 The library’s first building was the William Brown Library and Museum building which was completed in 1860 and which it has always shared with the city’s museum, now known as World Museum Liverpool. The library was then extended further to the right with the addition in 1879 of the Picton Reading Room and to the rear with the Hornby Library in 1906. All three of these buildings are Grade II listed buildings and are built in a classical style similar to other buildings on the street. Before the refurb, the building was less than ideal. It had its charm, but was a bit claustrophobic. The new look is like a movie set and will leave your jaw firmly on the floor. 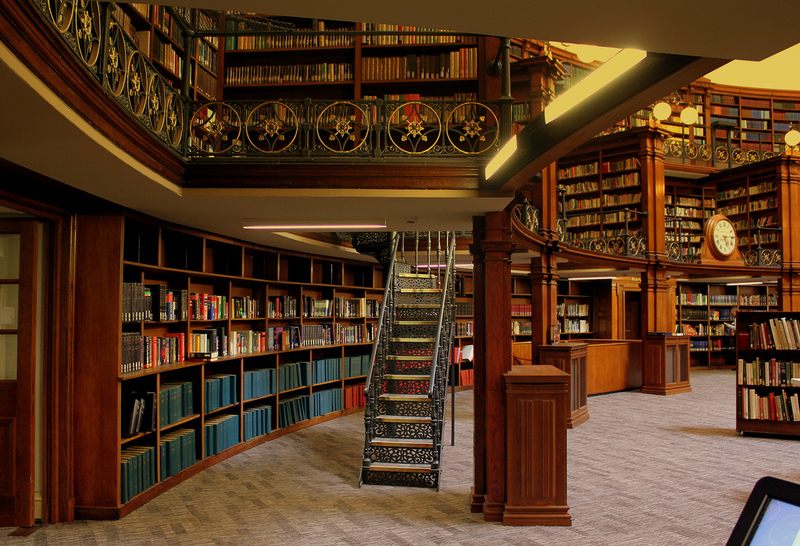 Walk into Central Library and you’ll see walls full to the brim, hardbacks neatly aligned and towering shelves all cascading a wealth of knowledge. That is if the ceiling-soaring foyer doesn’t halt you in your haste. There are certainly no musty corners or books gathering dust in this library. The building boasts over 4 million items with everything from documents to books to be discovered. 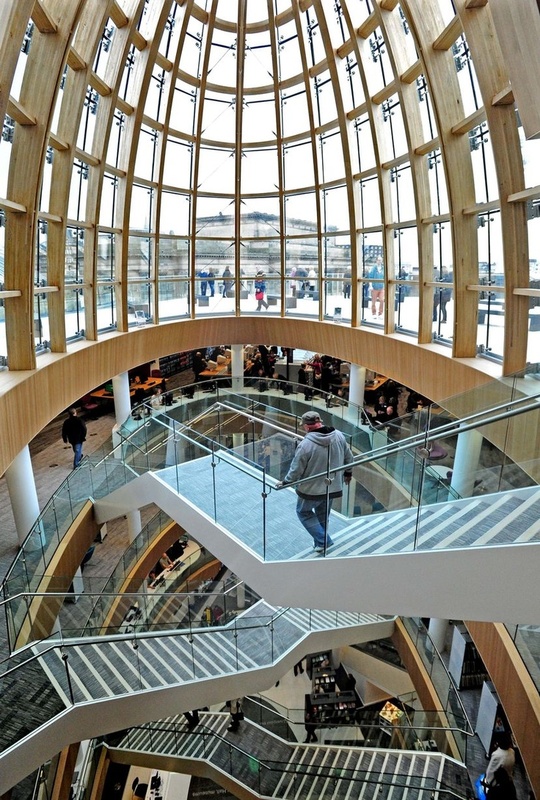 The interior has found the perfect balance between Grade II and 21st century. Olde-worlde rooms look like something out of Hogwarts and alongside, rooms with a more modern feel. Intricate, bright and vivid with magnificent effect. The juxtaposition between the two worlds represents the strength of Liverpool in many ways. Throughout the building there are many crevices where you can take refuge but none are more sublime or inspiring than the reading room. You can just imagine the amount of novels polished and epiphanies realised in this very room. What is it about libraries that are so important? You could argue they are the life-blood of their communities and are used by people from all walks of life. There are no cookies or special technology to suggest books you would like, the journey is down to you and if you’re lucky – you might just stumble on something amazing. Young mums take toddlers to story time and craft activities; children choosing books or researching projects; students using computers; unemployed filing their job searches for the DWP; disabled and elderly taking part in book groups, clubs and more. It’s not just the libraries – the trained librarians hold so much knowledge and support library users in so many ways. There’s no better feeling than sinking your teeth into a good book. Books are a unique portable magic that allow you to escape from the world, into another world far more interesting than your own. They give us the chance to live and die with a little more wisdom. They have the potential to open our hearts, our minds and leave us with a map of ourselves. Liverpool loves its literature and as well as a labyrinth of libraries, we also boast some truly phenomenal bookshops. In an increasingly digital world full of Kindles and tablets, the romance of a physical copy could have been forgotten. Thank God they weren’t. So we finish this letter with a thank you. For all that you do, not just today, but especially today. Truth be told we didn’t need the BBC’s or anybody’s confirmation that you’re beautiful but we’ll sure as hell take it.